Update 3: VICTORY! On May 11, the last day of the South Carolina legislative session, H3643 stalled in the South Carolina Senate. The bill was defeated after activists (including the members of SJP at the University of South Carolina) and legal organizations (including Palestine Legal) raised concerns that the bill would require public colleges and universities to censor and suppress Palestine advocacy, in violation of the First Amendment. Update 2: On April 20, the Senate Education Committee is holding a hearing on H3643. If you are in South Carolina, register your opposition to this bill with Senators here. Update: on March 9, H3643 passed the South Carolina House. It has been referred to the South Carolina Senate Education Committee. 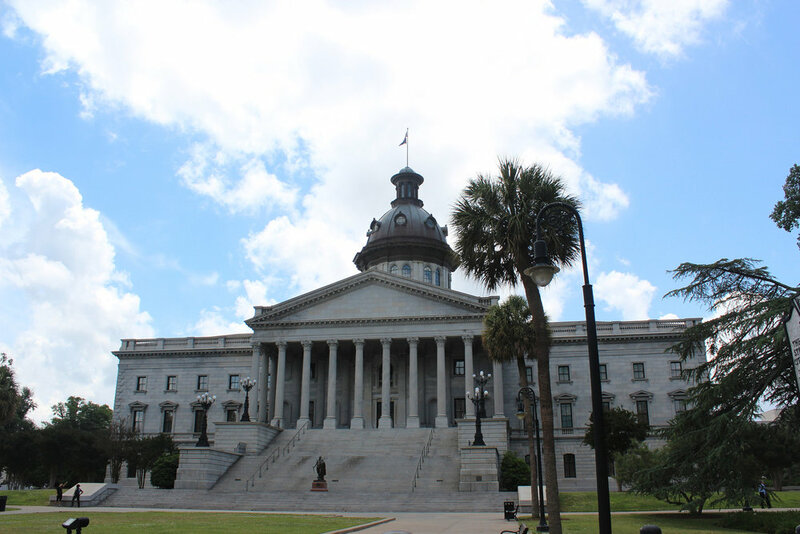 Today, a coalition of ten civil rights, human rights, and civil liberties organizations called on South Carolina lawmakers to oppose H.3643, an unconstitutional bill aimed at censoring and punishing Palestine advocacy. The South Carolina bill would require all public colleges and universities in the state to use a widely discredited, overbroad, and vague definition of anti-Semitism, often referred to as the “State Department definition,” when “reviewing, investigating, or deciding whether there has been a violation of university policy prohibiting discriminatory practices on the basis of religion.” The State Department definition classifies virtually all Palestinian human rights advocacy as anti-Semitic. [A]t a time when bias incidents and hate crimes, including those motivated by anti-Semitism and Islamophobia, are on the rise, this bill provides no new legal protections for Jewish or other residents of South Carolina. On the contrary, if enacted, this bill will almost certainly increase unwarranted government suspicion, surveillance, and investigation into the lives of Muslim and Arab students in South Carolina as well as all students – including many Jewish students – who advocate for Palestinian human rights. Similar attempts to censor Palestine advocacy by adopting the State Department definition of anti-Semitism have failed due to constitutional concerns in the U.S. Congress, Virginia, and California. Click here to read the memo. If you are in South Carolina, share this memo with your state lawmakers. Find your state representatives here.